Spinal / Re: Spinal's music sounds great! I made a song mixing all Spinal's teasers from Mike Gordon's vine. I don't know if Spinal's theme sound like this. Sounds great! but I think Spinal's theme should continue using this melody in a big part of the song, and Not only when the characters are quiet. Killer Instinct (1994) / Re: Classic Killer Instinct AWESOME Pictures! Killer Instinct (1994) / Classic Killer Instinct AWESOME Pictures! I found a lot of images remasterized by the new Killer Instinct (I think). I think that you get the images when win a trophy. "Cold Shoulder" archievement: You defeated Eyedol with Glacius. 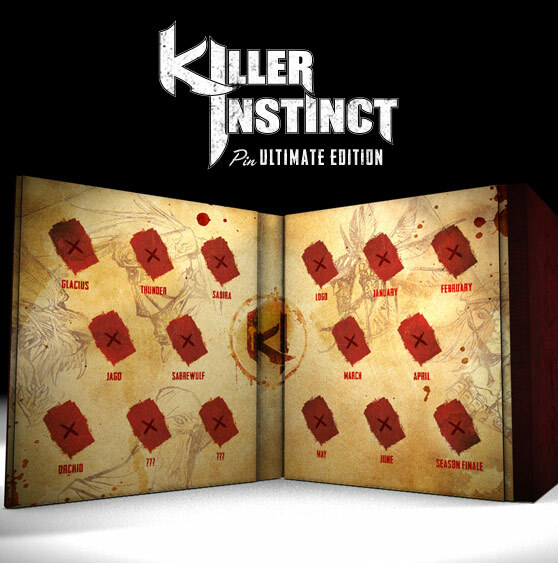 Killer Instinct (2013) For Xbox One / Re: KI Default Accessories Removable? Thanks for that post, TumblingDonut! your image served to me very much. Fan Art, Memorabilia & Cabinets / Jago's Theme (KI2 / GOLD) with Ninja Gaiden Trilogy Instruments! Killer Instinct (2013) For Xbox One / B.Orchid's Theme (EDIT) "K.I. Feeling"
Killer Instinct (2013) For Xbox One / Re: EXCLUSIVE Orchid Vine from Mick Gordon! This is my version of his return with his 2nd theme and the laugh from the first KI. Killer Instinct (2013) For Xbox One / Re: The two last characters of the first 8 confirmed... maybe??? Well... That's what it said. I though that the other names are characters for a moment. I think that Orchid's new theme is a Remix of her first song. When she was revealed with Sadira... I heard a part of her first song... and i can't wait to see how are the classic costumes!